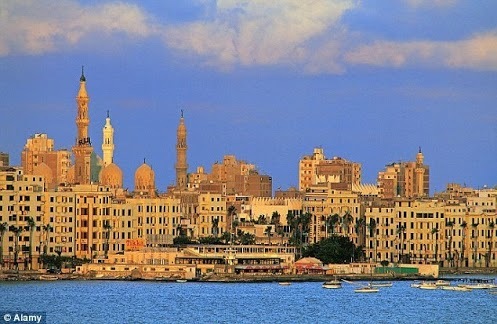 DUBAI, May 1 — The passing of a new law that would legalize Islamic bonds by Egypt’s upper house a day ago could trigger an investment windfall for the highly indebted country, the chairman of Egypt’s stock exchange said here on Wednesday. Mohammed Omran, at the ongoing two-day Africa Global Business Forum, said the underdeveloped bond market at the Nile would get a boost by the new law which increases certainty for foreign investors. “The share of financing based on capital markets increased to 25 percent last year from 10 percent in 2005, but 75 percent of financing is still provided from loans granted by banks,” said Omran. Islamic bonds, or sukuk, do not pay interest but distribute profits based on tangible assets like properties, land or commodities. In 2012, the global sales volume of issued sukuk reached an annual record of 46 billion U.S. dollars. Omran said foreign Arab investors and retail bank clients in Egypt are likewise keen to invest in line with Islamic law, or Sharia. Hitesh Asarpota, director of structural finance at bank Emirates NBD in Dubai, agreed with Omran, and cited Turkey as an example where a convention state bond that was launched in January 2012 attracted 3 percent of Arab investors, but an Islamic sovereign bond five months later attracted more than 50 percent. Egypt is seeking desperately foreign investments, as its financial stand worsened in the wake of the 2011 upheaval. Egypt’s sovereign debt to gross domestic debt ratio swelled to 80 percent in 2012 from 76 percent in the previous year, according to figures compiled by Lebanese lender Bank Audi. Talks between the Egyptian government and the International Monetary Fund on a 4.8-billion-dollar emergency loan have been held for the last two years without solid results. While the Islamic finance industry became mainstream banking in the Gulf Arab region, Malaysia and Indonesia, banking in line with Sharia is still insignificant in Egypt as ex-President Hosni Mubarak kept Islamic finance as he saw it as fertile ground for the once oppositional Muslim Brotherhood, which today heads the government.